Since the beginning of April Tim and I have been travelling and doing field work, with no time do post here. As a result we are going to close down this blog for a while, at least and will take it off-line at the end of May. Instead we will post more regularly on our Facebook site to keep up to date with events related to our book, and this website..
We still will occasionally write material to update and extend our book but will post all of that material on a new ESSAYS page listed under RESOURCES. Of the posts we have done so far, we will move the Henry Seebohm post and the Seabird Wrecks post to ESSAYS. 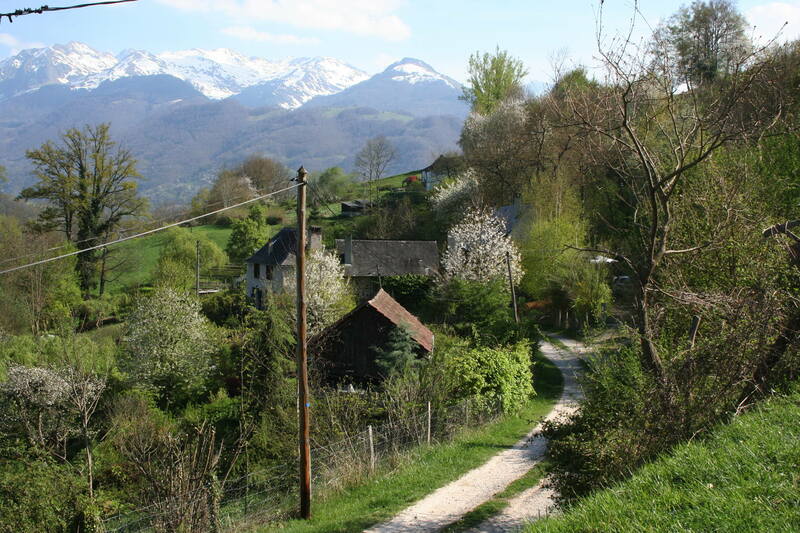 Early in April my family and I moved to a gîte in the small hamlet of Artigues in the French Pyrenees (picture to the right) where we have spent the past 3 spring months, while I worked on our book and conducted some small field studies of bird song and colour perception. This year I am developing a more in-depth study to look at the ability of birds to distinguish between colours in different parts of the spectrum. Some of that work will be done at the excellent CNRS research station in Moulis. Tim, on the other hand, spent some time with his family in Gaucin, Spain, in April (photos below) and now is regularly back on Skomer where he has studied murres (guillemots) for the past 40+ years. By Bob Montgomerie in Uncategorized on 12 May 2014 .